Photo of Teer in Wheels & Dollbaby “Mantrap” dress by Brooke Orchard Photography. Photo by Brad Blake Photography. 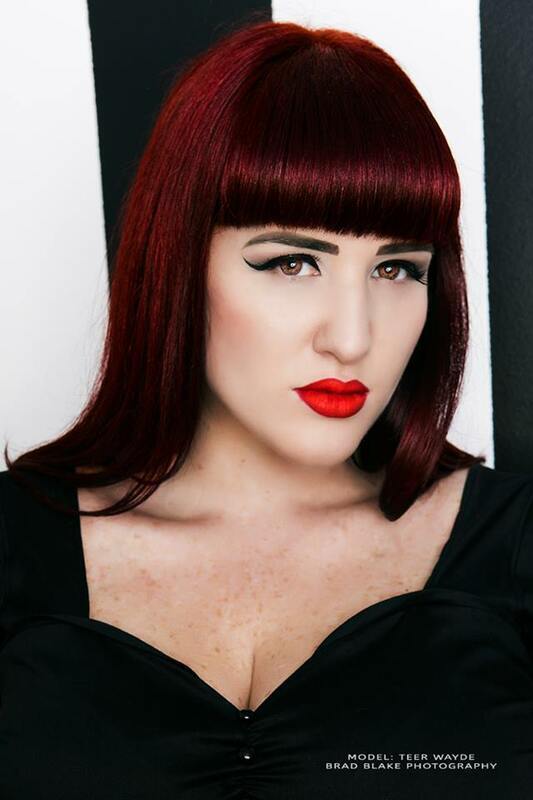 So … I am very honoured to introduce the third fabulous woman in my series of inspirational women, the outrageously beautiful Teer Wayde. Teer is a sassy and beautiful plus-size pinup model with attitude and style by the bucketload! She has a highly successful and visually stunning blog Curves to Kill, where she showcases her finely-honed style and demonstrates her passion for pinup. Q2. What habits would you say make you successful at what you do? A. I’m a perfectionist – the model vs the blogger! When I shoot for my reviews I plan everything – styling, location, the right photographer and every little detail in order to make the end result perfect. In regards to my modelling – practice and patience! A. I’m very true to myself – be it the styles, the brands and the companies I represent. I could not keep my blog going if I was not. A. An endless list of plus size models! I can’t name just one as I’m inspired by them daily. A. These women are pushing boundaries, changing perceptions and making women around the world proud of what they’ve got. Curves to Kill is the name of Teer’s blog and she certainly knows how to rock those curves like no one else! I love her style, her attention to detail and the practical, engaging content of her blog. As you can see from the photos, Teer herself looks like one of those beautifully-curated women you see on Pinterest inspiration boards for Pinups – we can but aspire! Thanks so much for your answers Teer – I’m so proud to have an amazing pinup role model like you here on my little blog. 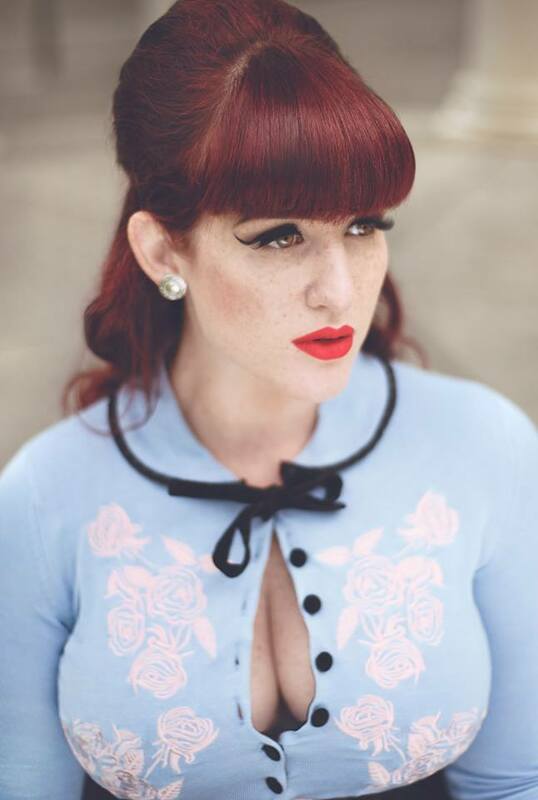 Extra for experts: click here to see Teer’s photos in Adore Pinup Magazine. You’ll also see our very own Miss Victory Violet! 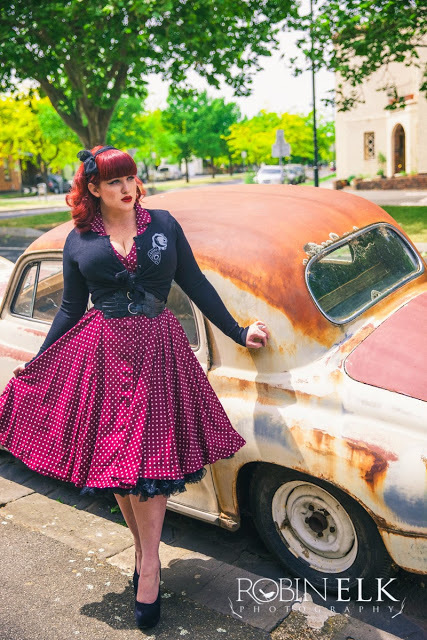 Posted on November 17, 2014 November 25, 2014 by MumptyStylePosted in Mumpty Q&ATagged blogger, Brad Blake Photography, Brooke Orchard Photography, Curves to Kill, Dita cardigan, Inspirational women, mumptystyle, pinup, pinup model, plus size model, Robin Elk Photography, Shauna Phoon Photography, Teer Wayde, teerwayde.com, Wheels & Dollbaby. Next Next post: A burlesquin’ bachelorette bash!